Established in 2007, Bulk Pro Systems launched its venture with four people, a common goal and 75+ years of knowledge and experience in bulk material handling markets. Rising up in a relatively short period of time, Bulk Pro Systems has become an industry leader in the bulk material handling markets. Today, we supply products to customers around the globe. Bulk Pro Systems offices and manufacturing operations are located in Ham Lake, MN USA, just north of Minneapolis. We manufacture and distribute a wide variety of industrial instruments for the bulk material handling world, specializing in applying instrumentation that will increase the level of safety and productivity of your operation. 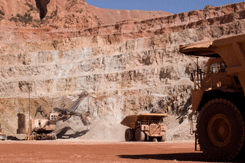 Our belt scales, tramp metal detectors, conveyor switches, level controls, speed sensors and sampling systems are manufactured to the highest standards. That combined with years of application expertise assures that these products are installed and utilized to their full potential. Bulk Pros mission is to provide: High Quality, Competitively Priced products to our customers that meet their specifications. 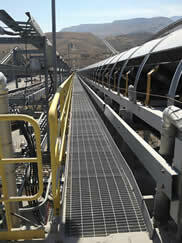 Dynamic Weighing, Conveyor Safety, Level Detection, Monitoring Accessories, Tramp Metal Detection & Bulk Solids Sampling.